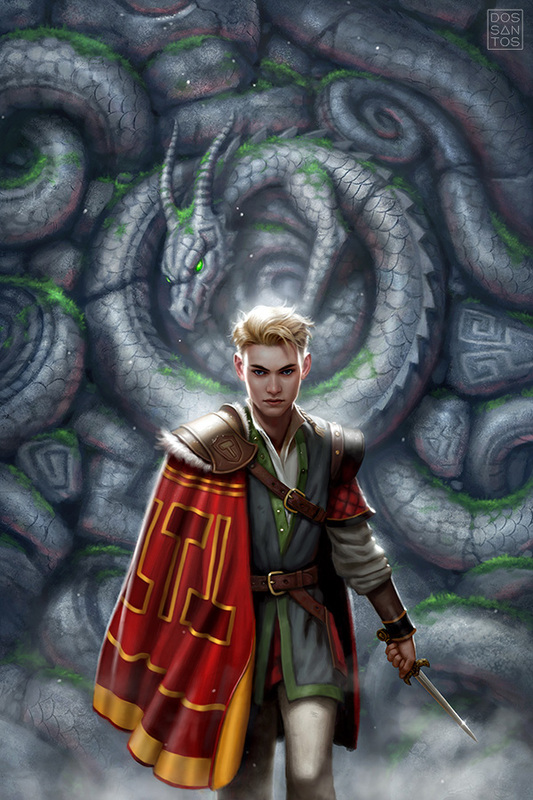 Here is a new cover I recently finished for the novel 'The Dragon Hammer', by Tony Daniel. The story is fantastic, and takes place in an alternative America where Nordic culture and religion took hold instead of European. What we call Yellowstone Park, is actually a large dragon, sleeping just below the Earth's surface, steaming and stinking of sulphur. There was no shortage of wonderful visuals to pull from, from giant green crystals to a legendary hammer with world-shattering power. This made coming up with ideas fairly easy. The real challenge was finding an idea that worked well for the cover. 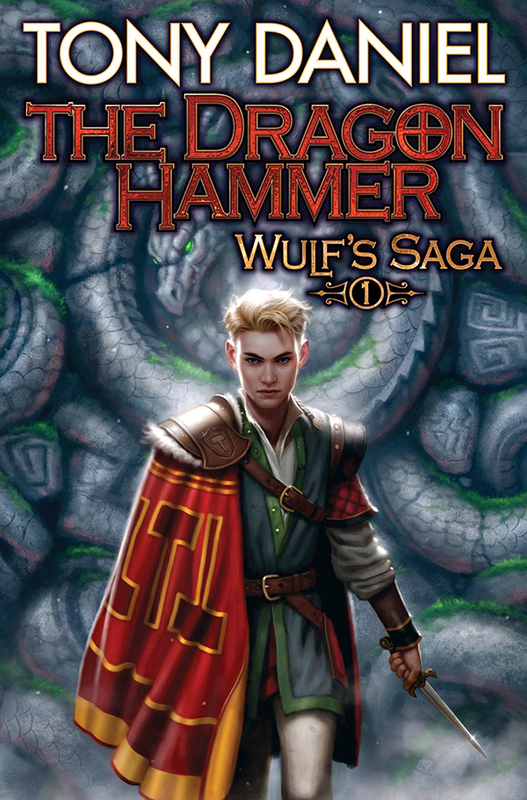 When you have a title like 'The Dragon Hammer', you kind of need to show a dragon and/or a hammer, otherwise the title just doesn't make sense. The problem was, this is an ongoing series, and no dragon or hammer actually appear in the first novel. So I tried to find other ways to integrate those themes into the image. Such as using a hammer shape as a title cartouche, adding hammer patterns to the boy's cloak, or adding dragons as a decorative element, like in the final image. The other concern for me was that this story has a large cast of characters, each of them important. So we had to decide whether to show the whole ensemble, or just a single character. 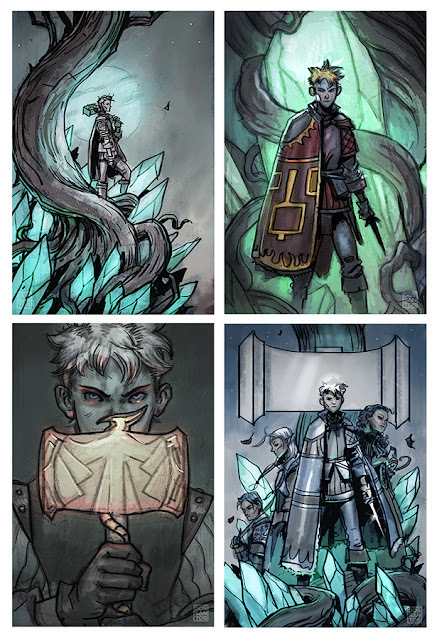 This may seem insignificant, but a group shot of teens, versus a solo shot of a young boy, definitely appeals to a different demographic and changes the perceived mood of the book. I usually try to offer an Art Director both options. And below is how the image appears on the final cover.